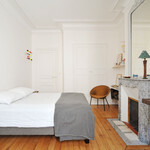 Please note that there is a 150€ cleaning fee payable upon arrival, thank you. 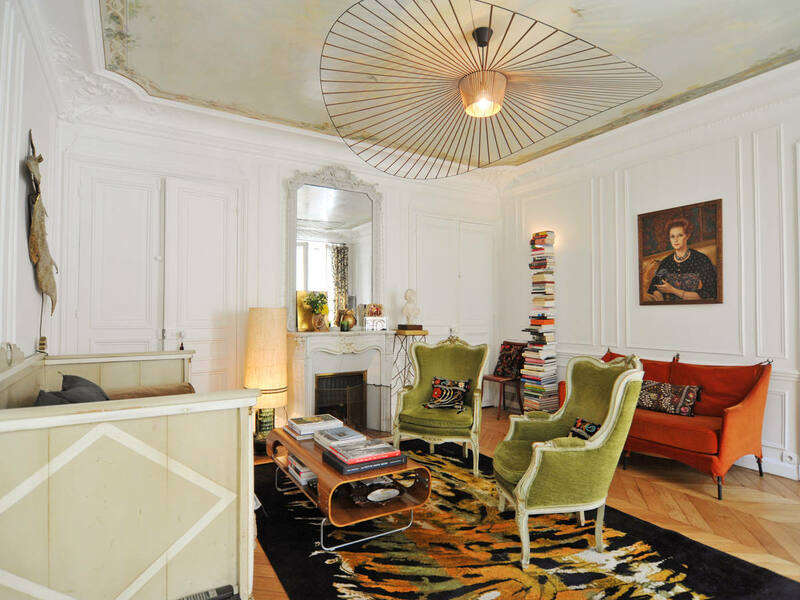 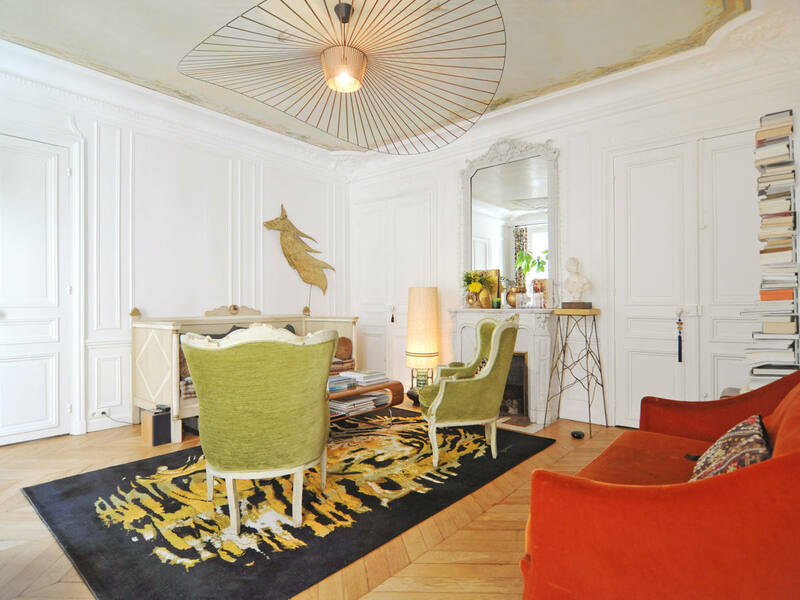 Live the good life in Paris with this incredible, spacious apartment in the stately sixteenth arrondissement. 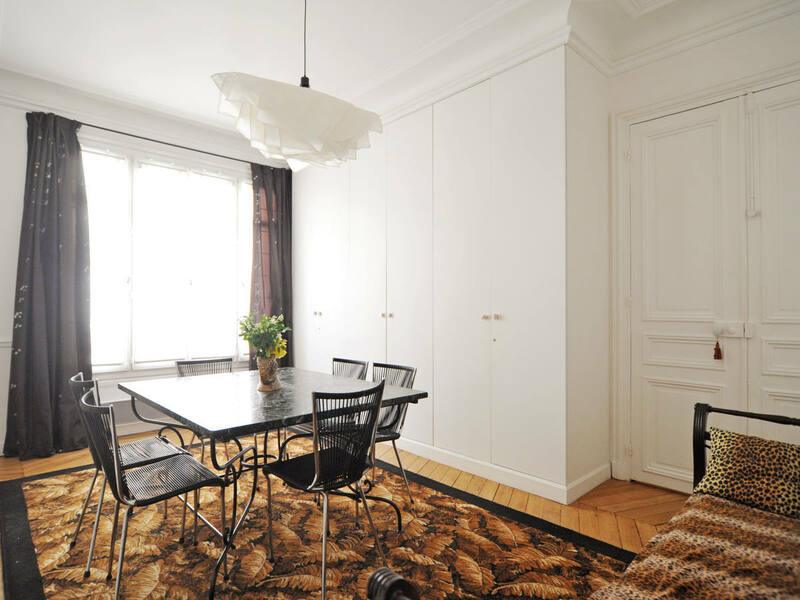 This three-bedroom apartment boasts 120 square meters (over 1200 square feet) and comfortably accommodates up to six guests. 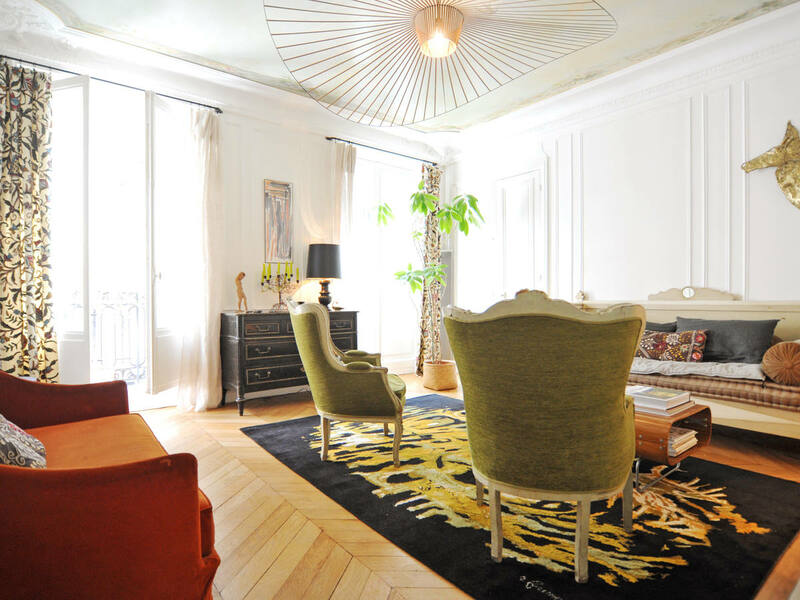 Book this stunning home and enjoy the best of the City of Lights. 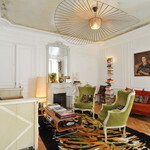 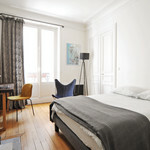 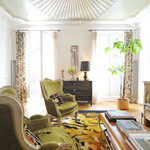 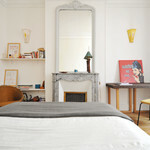 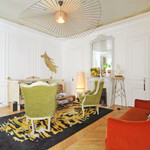 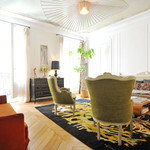 Decorated with a unique, funky style, the apartment offers classic Parisian chic and a hint of twenty-first century cool. 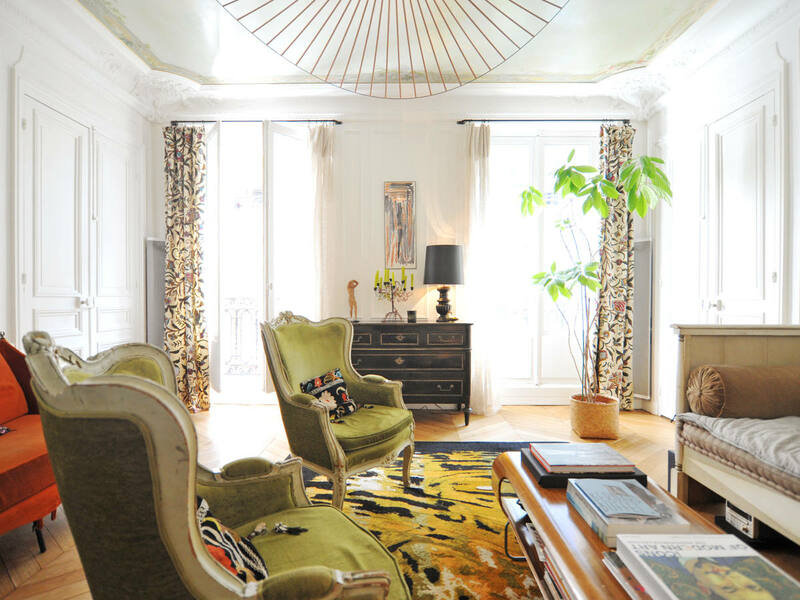 Two large windows in the living room let in lots of light, and the velvet-upholstered armchairs make this the perfect space to sit back and relax. 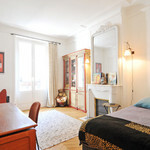 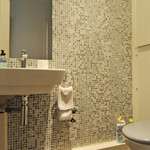 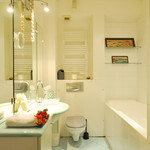 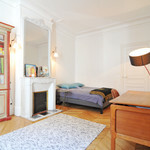 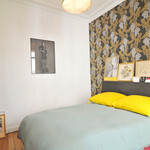 The apartment's three bedrooms each contain a double bed, sleeping a total of six guests. 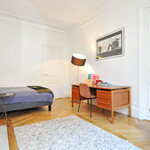 Two bedrooms also have a desk area and decorative fireplace feature, while the third bedroom has a flat-screen TV. 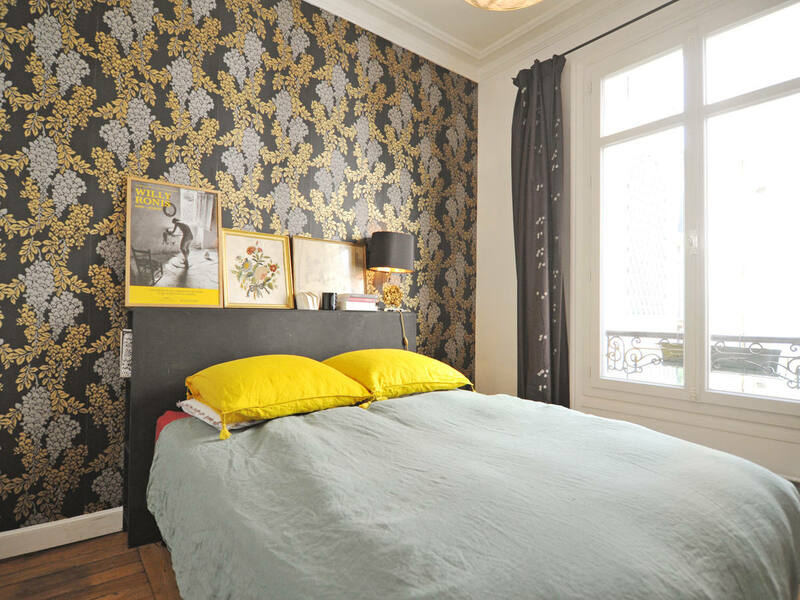 All of the bedrooms have windows to make them extra bright and fresh. 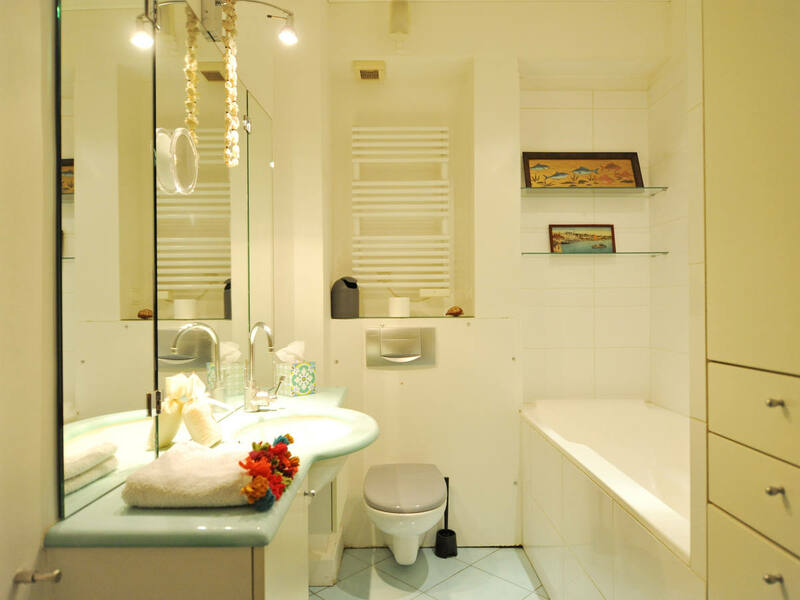 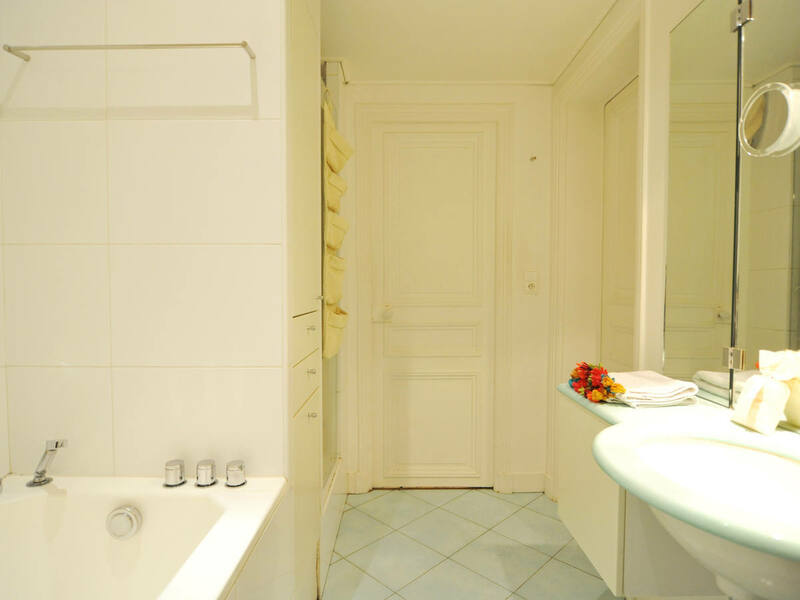 There are one and a half baths in the apartment; the full bath has a modern bathtub, separate shower, heated towel rack, sink and toilet. 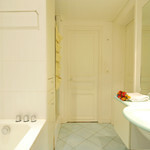 For your convenience, towels and linens are provided. 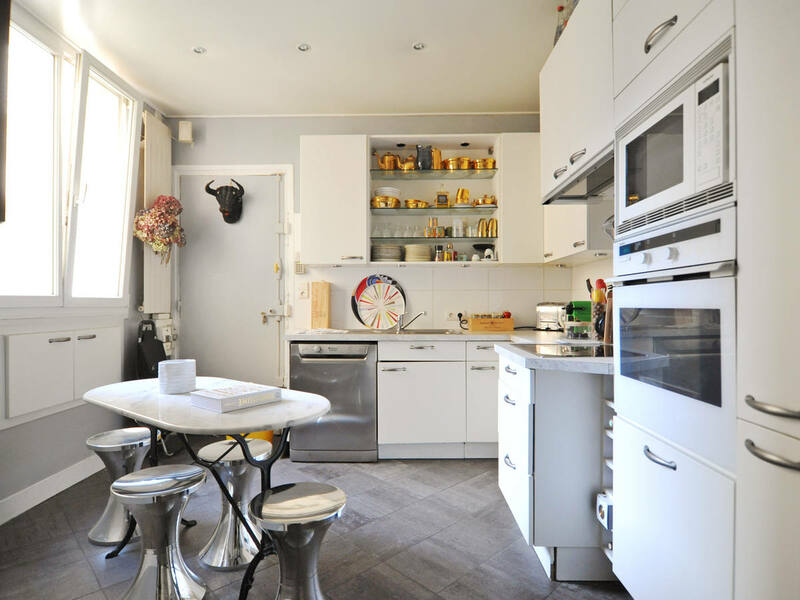 The fully renovated, completely gorgeous kitchen is equipped for you to cook up whatever strikes your fancy, from a simple espresso to go with your morning croissant to a sumptuous feast. 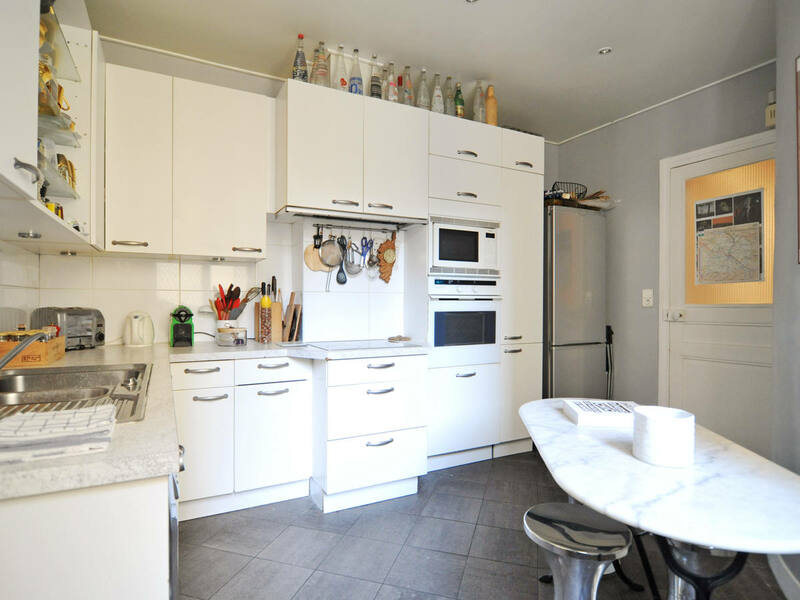 You'll find an oven, microwave, electric burners, refrigerator, freezer, small appliances and all the utensils and dishware you'll need to get cooking. 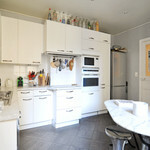 (Plus, the dishwasher will make clean-up a breeze!) 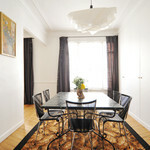 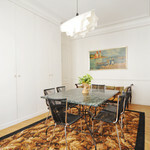 There is a small eating area in the kitchen, as well as a separate dining room with marble table that seats up to six. 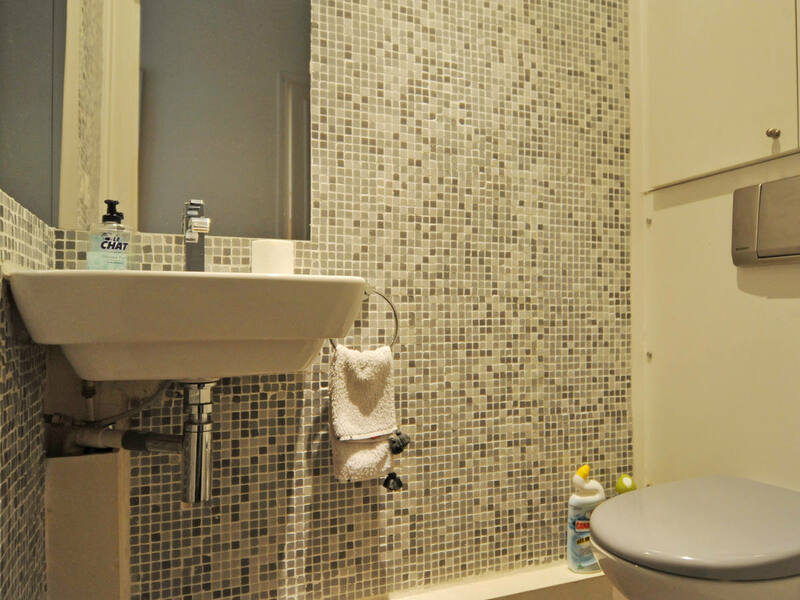 A washer/dryer is also available for your use. 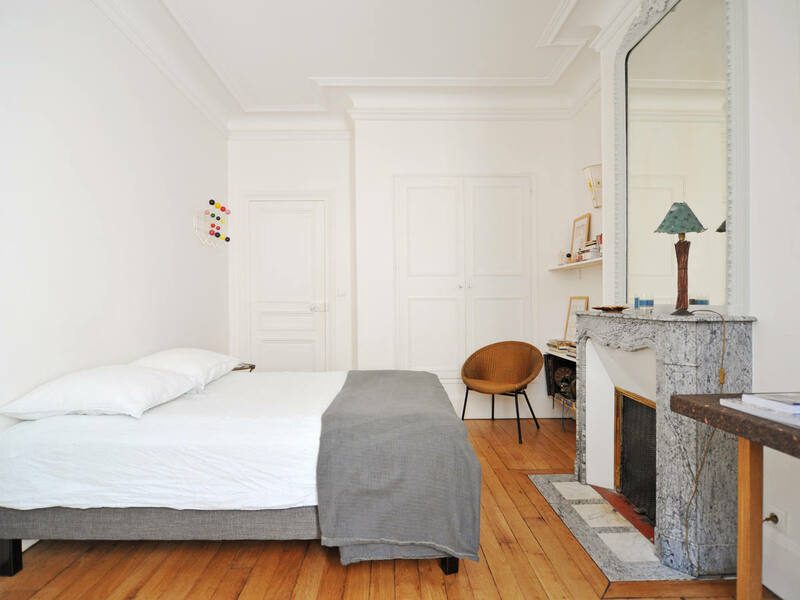 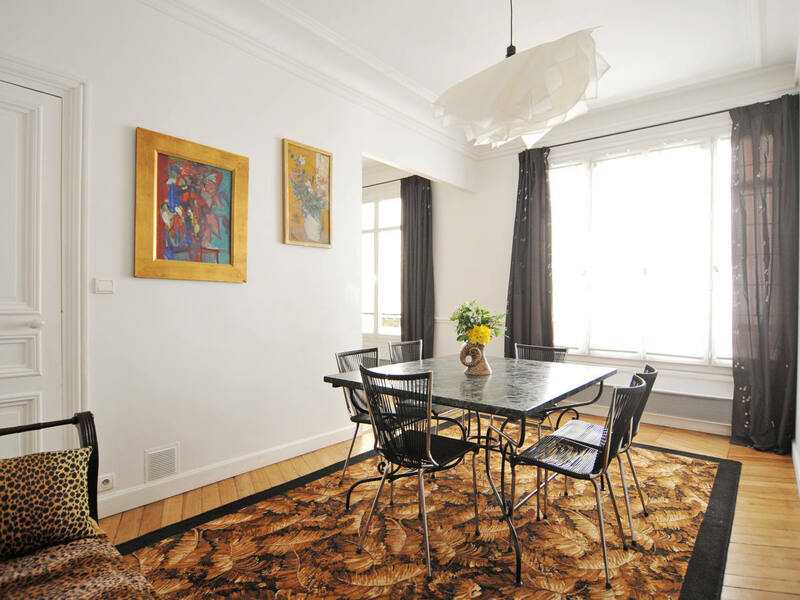 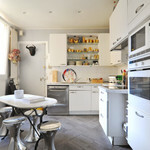 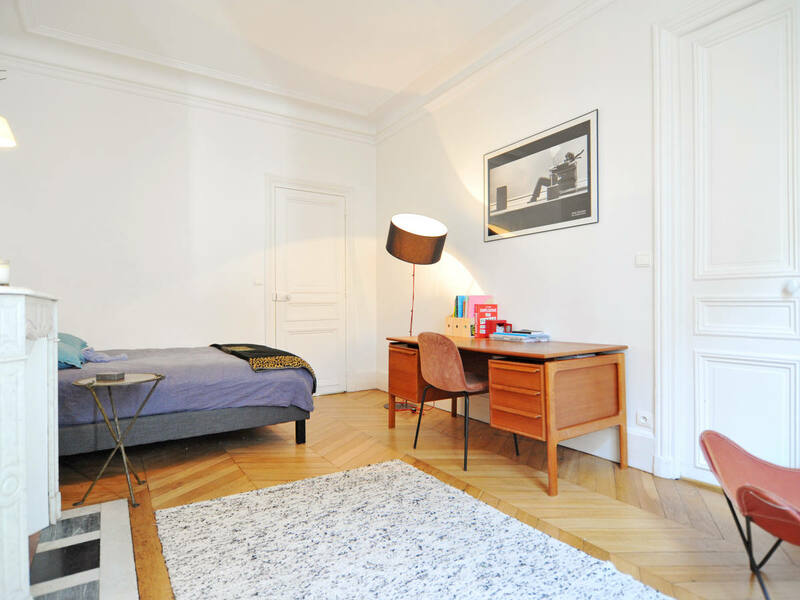 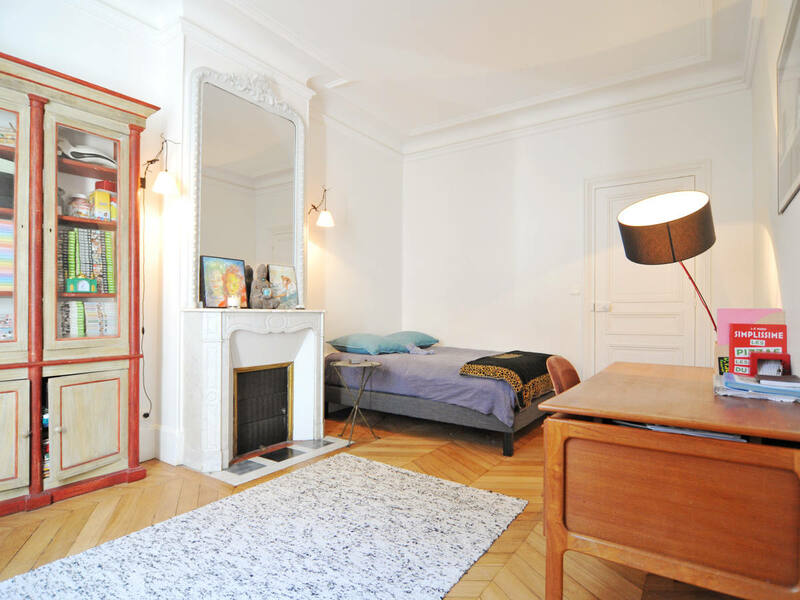 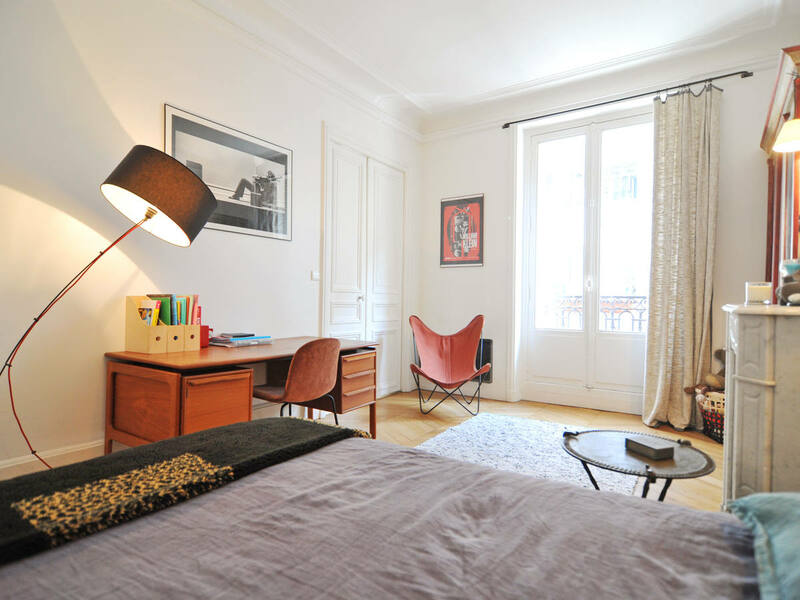 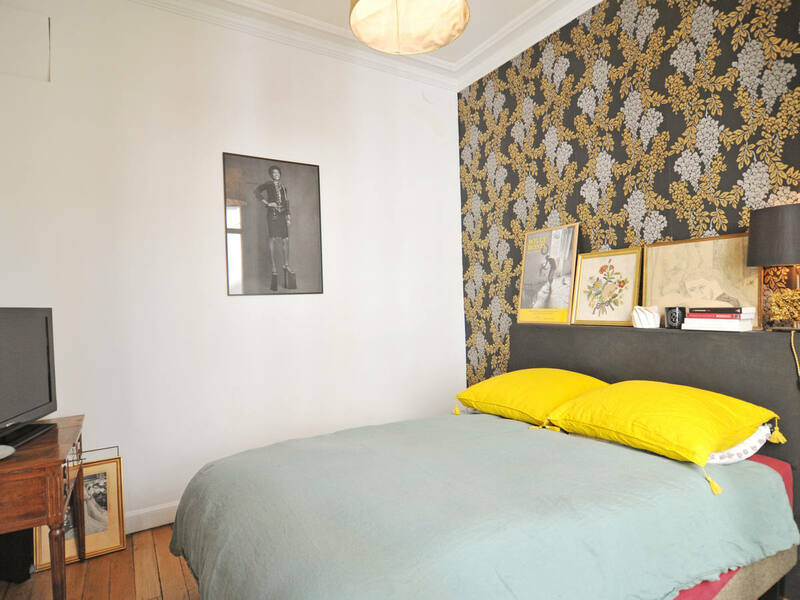 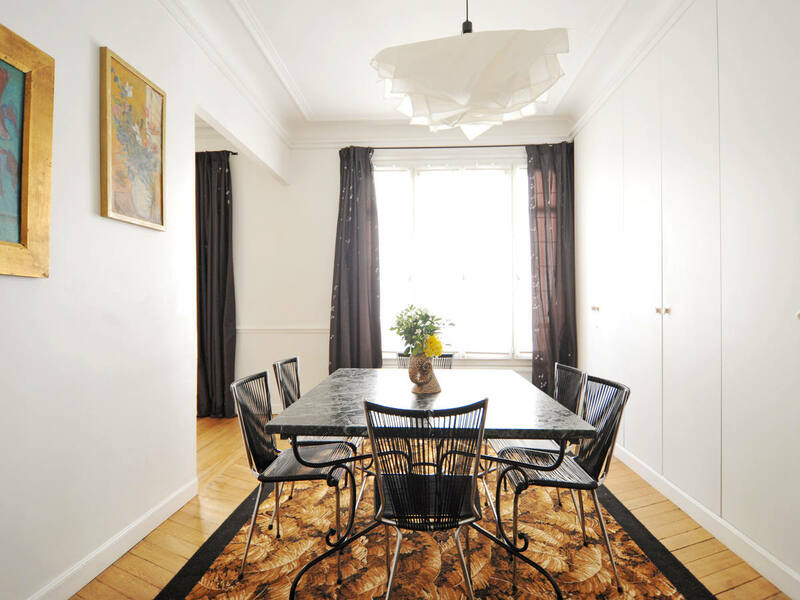 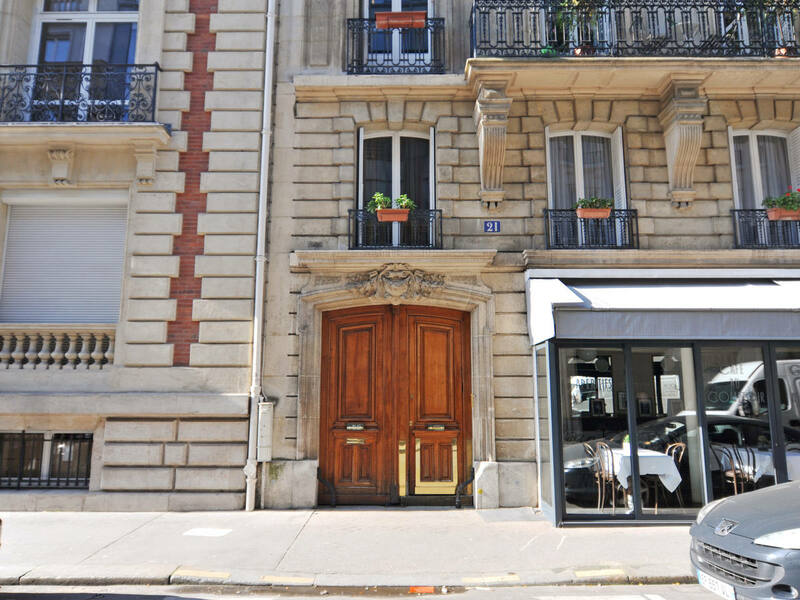 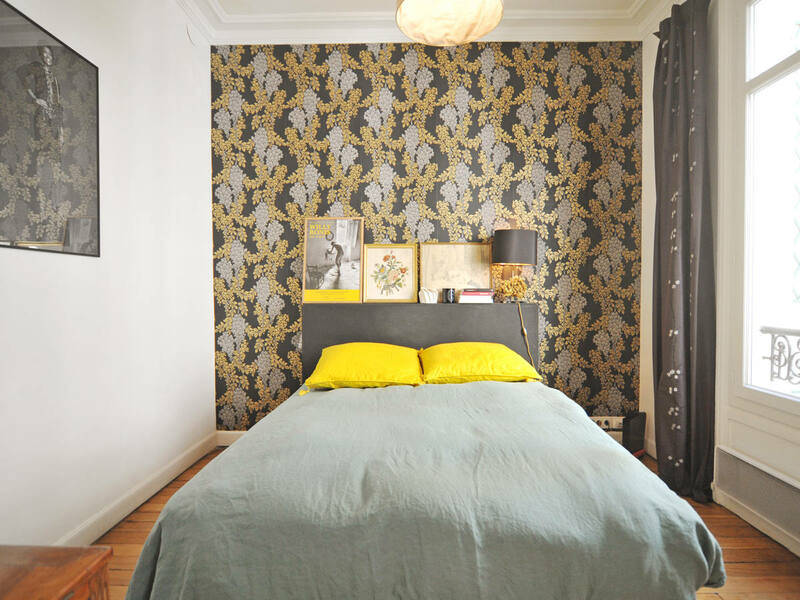 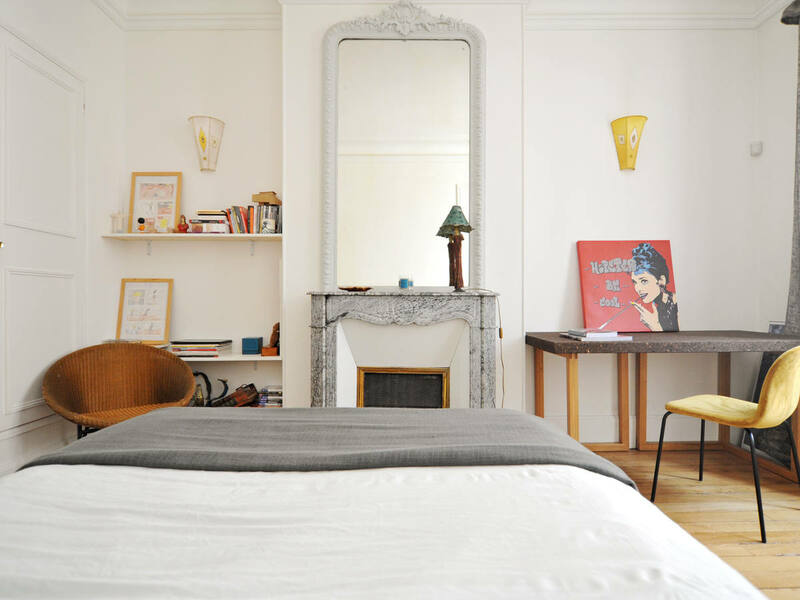 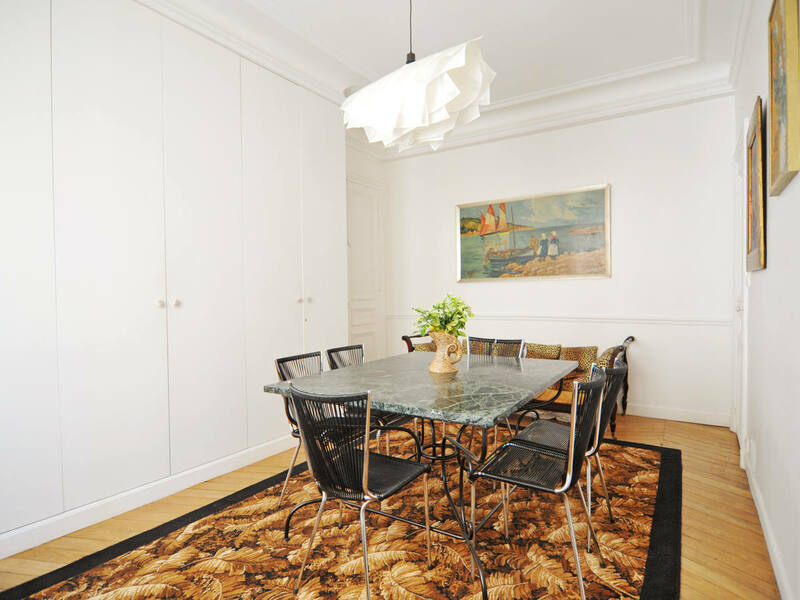 Located on the second floor of a turn-of-the-century building with elevator, this apartment is in the heart of the sixteenth arrondissement. 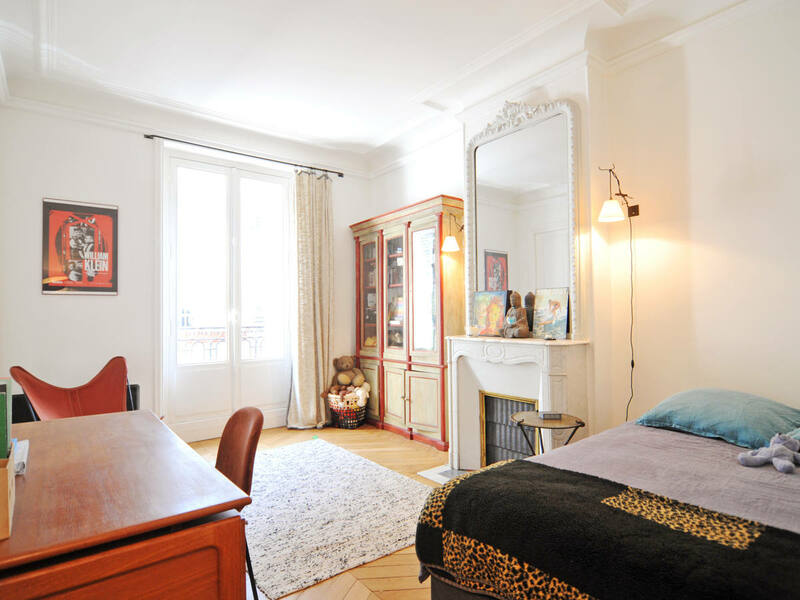 Just steps away from a charming little park, the apartment is on a small, quiet street that is still close to shops, restaurants, groceries and cafés. 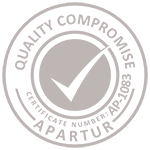 About ten minutes of walking will take you to a farmers' market, open twice weekly. 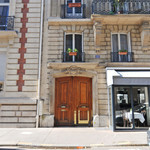 There are plenty of sights within walking distance, too. 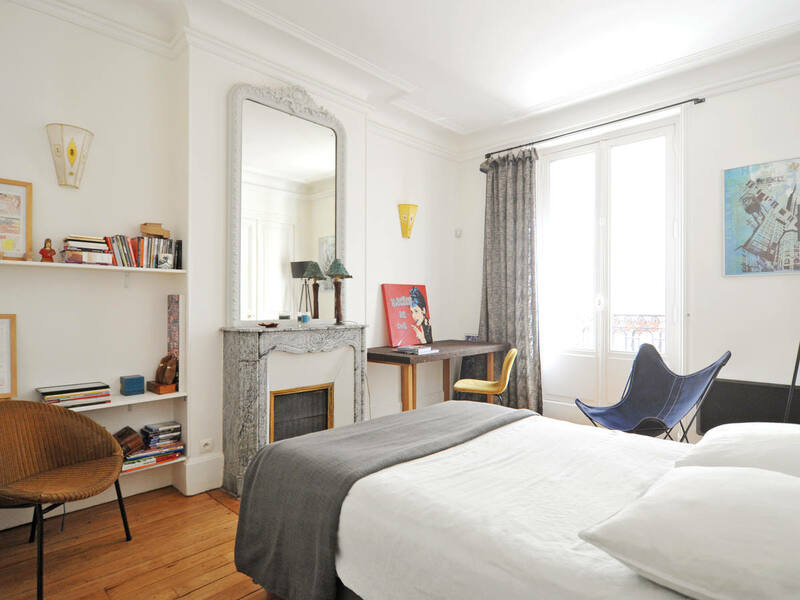 Both the Arc de Triomphe and the Trocadéro gardens, facing the Eiffel Tower, are an easy ten-minute walk away, as is the beautiful Palais de Tokyo museum and the Galliera museum; the Quai Branly is only a few minutes farther. 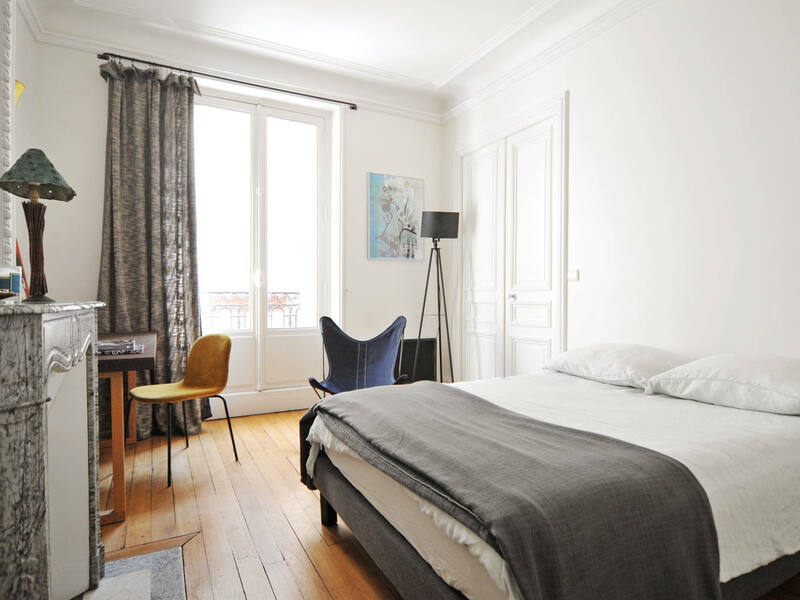 Or head over to the Champs Elysées and stroll toward the Grand Palais and Petit Palais; the Invalides, where Napoleon is buried, and Rodin museum are right across the Seine river. 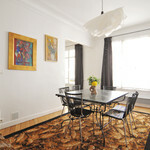 The Paris subway system will take you quickly and easily to other sights. 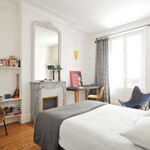 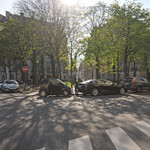 The stations Kléber and Boissière, on line 6, are closest to the apartment, but Iéna, on line 9, is also less than ten minutes away on foot, and will take you directly to Montparnasse, or the famous Galeries Lafayette on the Grands Boulevards. 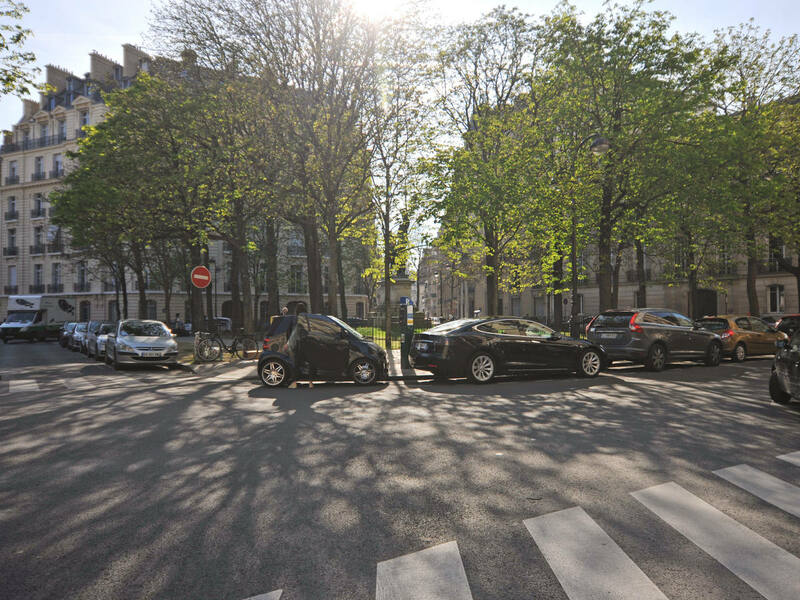 Change lines to go to Notre Dame (30 minutes), Montmartre (30 minutes), or the Louvre (20 minutes). 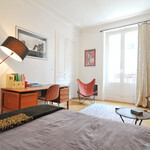 Bus lines 22, 30, and 82 provide additional public transport service to the apartment.